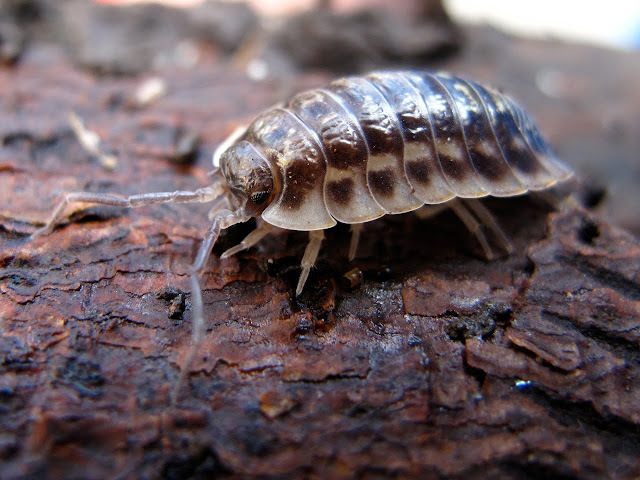 With this photo of a Common Woodlouse (also known as shiny or smooth woodlouse) Oniscus asellus, let me round up the topic of woodlice. Woodlice are crustaceans, a mostly marine group. They have 7 pairs of legs when adults. They are quite gregarious, and usually many individuals are found together. 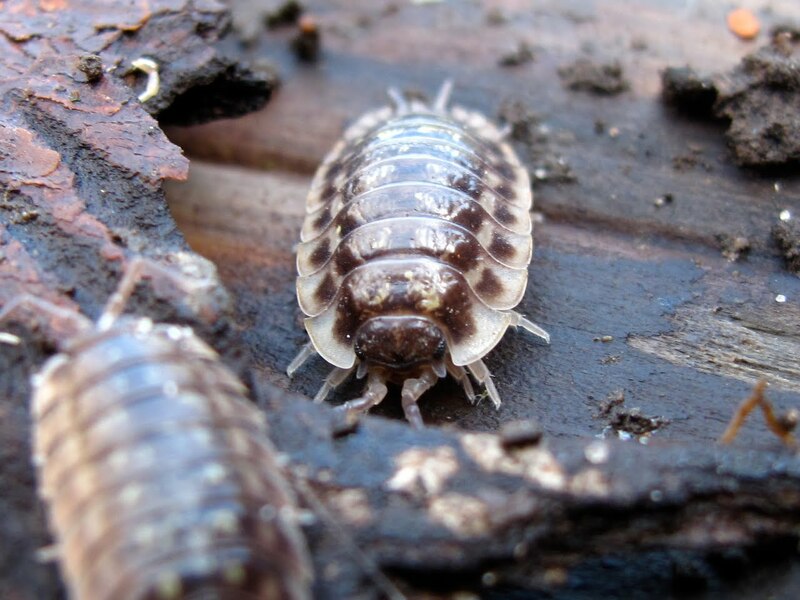 The common woodlouse is not as drought resistant as the rough woodlouse, as their bodies are more permeable to water, and therefore is present in more humid microhabitats. It has a very shiny cuticle with dark and light patches, although colour varies, their antenna are longer than in the rough woodlouse. We found these large individuals (this is the largest UK species and can reach 16 mm in length) today under large logs kept covered with some tiles. A side view of a different individual. A front view of the first individual. I love woodlice. 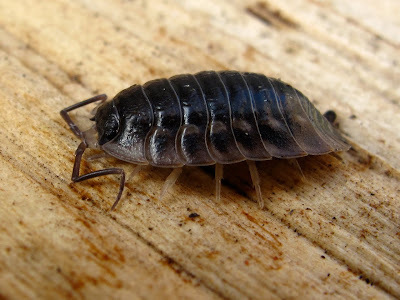 We used to see mostly the 'pill bug' type in London, but now I'm living in Cambridgeshire, it's mostly rough or smooth woodlice. I did see a lovely big rough woodlouse (porcellio scaber) in Italy and took some macro shots of it. It was fun - it looked like Darth Vader head-on and close-up.